I am currently working my latest dance piece called Silenced. It is a piece honoring the life of Cambodian pop icon Ros Serey Sothea mixing some of her songs from 1960’s Cambodian pop music with original compositions for guitar composed by my long time composer, Alexis Alrich. The piece is also integrated with video imagery, designed by Olivia Ting, as a backdrop throughout the piece. In the first part of the piece I will use Classical Cambodian dance vocabulary as a foundation where classical gestures and movements are re-envisioned to intertwine with pre-recorded music accompanying songs from Sothea’s greatest hits designed to evoke the spirit of her life and times in the Golden Era. I couple two new music compositions in the end to explore her tragic death during the Cambodian Genocide. So far the creative process has been filled with interesting discoveries as I face some real challenges. In the summer when I was doing my research about Ros Serey Sothea I found some reading materials that were very useful. I also found some of her song collections that were quite beautiful as well. The most challenging part was that I wasn’t able to find any video footage of her singing with her band. This summer I hope to do more research in Cambodia. I did find old video footage of her with a paratrooper when she was young. There are also a couple videos of a rock and roll band from movie clips with the voice of another famous female singer of the time named Pan Ron and, of course, short footage of Cambodia’s most iconic male singer, Sinn Sisamouth, who also sang duets with Sothea. Because of the destruction of war, numerous documents and other resources were lost. Fortunately, Sothea’s songs that were recorded in old cassette tapes were able to survive and still exist today. I still own couple of these old cassette tapes from when I was young. Her songs have been recreated and sung by many Cambodian bands in Cambodia and around the world. Most recently I found two CDs; Cambodian Rock Spectacular Vol. 2 and Cambodian Rock Intensified Vol.3. Both soundtracks have comparatively great quality and are nicely re-mastered. I’ll forever treasure them. I plan to use a couple of her songs from these soundtracks in first section of my choreography. The more I listen to Sothea’s generational music the more I am reminded of the beautiful and prosperous time Cambodia once had. My collaborators are currently working on their own parts individually. My composer, Alexis Alrich is working on the two compositions; one is for the solo dance piece representing the last stage of Sothea’s life and the second piece accompanies a short section about Khmer Rouge Period with archival video footage. Alexis and I have been dialoguing about ideas that will deliver the feel and mood I want to evoke in my choreography. I can’t wait to hear her final work. The music should be completed by the end of the December. I should be able to rehearse with her music with an accompanying guitar player in early-January of next year. My video designer, Olivia Ting, is working on putting different short video imagery for the first section of the piece and the last section of the piece. Last week she and I tested out the projector at the space to see how big we wanted the imagery to be. We want the imagery to have varying dimensions for the different sections of the story to support the choreography and storyline of the piece. We hope to do more explorations with that in The near future. In addition, I also wanted to create some of my own video footage to be used as backdrops. Yesterday, videographer Benjamin Michel filmed my process of preparing for a dance and other theatrical moments in Santa Rosa. The process went very well. I am looking forward to seeing how it all will be incorporated into the piece. My other challenging part is for the middle section where I need to extract vocals from two of Sothea’s songs so I can sing them live. It is much like a karaoke but I want the sound to feel as authentic as possible. Through this process I am told vocal extraction can be tricky and the success of this is largely based on how the materials (songs) were recorded and mixed. Because the songs are in mono and because of the way they were recorded it makes it hard to extract the vocals only. I have been in contact with a sound engineer and it was impossible to do what I was hoping to do. At this point I have two options, one is to find the Karaoke versions of the song and have the music transferred into MP3 format, and the second is to have the songs recreated. I am working with someone to try to figure this out. It has been an interesting process finding about technology and what it can and cannot do. One thing I have learned here is that as an artist you have to keep an open mind for the many possibilities that can arise. Sometime things may not work out the way you want. Therefore, you have to have a back-up plan and must try to figure out things differently. I have gone through challenging processes before and I am sure I’ll figure out how to make it all work. Most challenging of all has been to find a couple of dancers to work on this piece. It is important to have the dancers whom I have worked with previously as there are no professional Cambodian dancers to be found in the Bay Area. Because they all are not from local figuring out how they can work with the required intensive schedule has been crazy. Of course like any dancers, the Cambodian dancers have to work other jobs in order to survive. Most dancers that I know cannot make a living just being a dancer alone. A stable job has to come first so that they can’t afford to keep doing what they love. It is just the way it is. They all have work or school responsibilities and they simply can’t ask for many days off. At some point or another I have had 3 of my past dances agree and then have to pull out because the commitment is too long. They told me that they would love to be apart of this piece if the schedule were more flexible. Even though they will receive an honorarium it is impossible for them to take many days off from work. Because of this I have had to figure out a different way. I have decided to find local dancers to work with instead. That has been difficult as well for the same aforementioned reasons. So I’m trying not to get stuck. There must be a way for me to figure out how to make it work. I’ve had to restructure my piece a little bit differently where I am choreographing mostly for my role as Sothea using a couple of background dancers. For this section the dancers will move to a couple of Sothea’s rock and roll songs. I have found a student dancer from Santa Rosa Junior college who is now working with me once or twice a week. I am also in contact with another dancer. I am rehearsing the first part of the piece and plan to present it for the first work-in-progress on January 8, 2014. Despite the challenging process I have encountered I am extremely grateful for the opportunity to create this compelling story of Ros Serey Sothea. I feel so honored to choreograph dance to her songs, sing her songs, and to create this piece to expose her life through dance. I am looking forward to present this piece in mid-March of next year. I am would like to say thank you to the Investing in Artist Grant from the Center for Cultural Innovation for supporting the development of this piece. 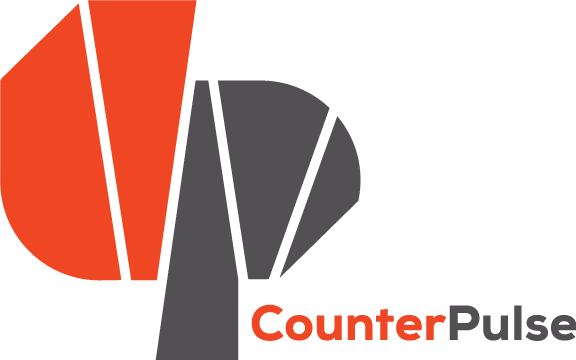 I also would like to say thank to the CounterPULSE for giving me the opportunity to continue to create and supporting this artistic endeavor. So far having the opportunity to develop this piece as a site-specific work on the CounterPULSE stage has been an interesting process and a wonderful experience.